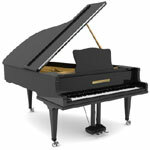 Honored as one of the top Kindermusik schools in the nation and Jackson County's premier music school. We provide a positive musical experience for all ages, beginning at birth with our Kindermusik Village class and continuing through all levels of Kindermusik curriculum, piano, guitar, drum and voice lessons. 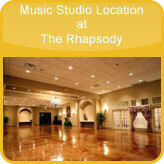 The Musik Connection is located at The Rhapsody in Independence, Missouri. the life of your child.